I'm so glad that more and more Singaporeans are discovering the richness of Filipino culture and art. It is now Ben Cabrera aka BenCab's time to shine. 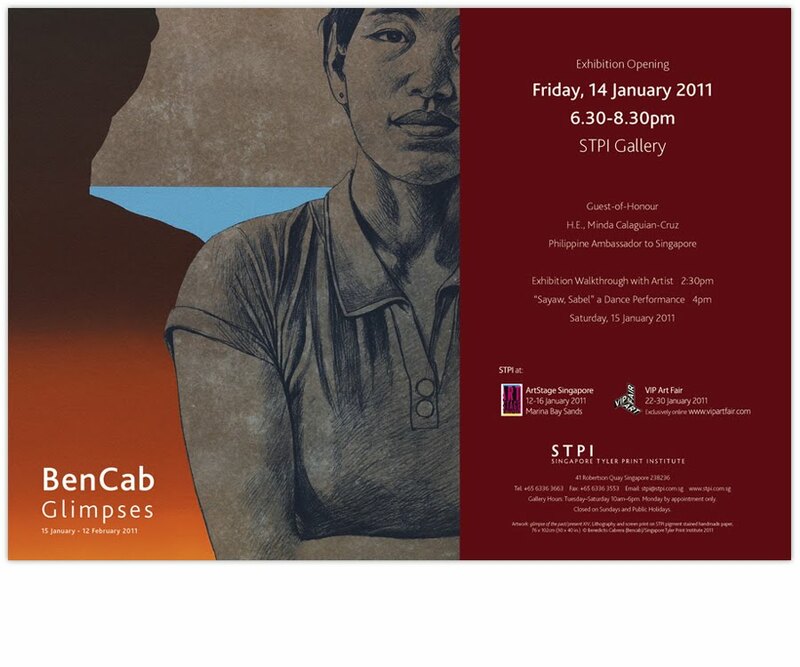 From Jan 15-Feb 12, residents and visitors to the Lion City will be able to catch "Glimpses", the product of Bencab's second residency at the Singapore Tyler Print Institute. See familiar characters such as 'Sabel', a symbol of grace and strength and the changing social fabric of contemporary Philippines. 4pm - Sayaw Sabel, a Dance Performance.